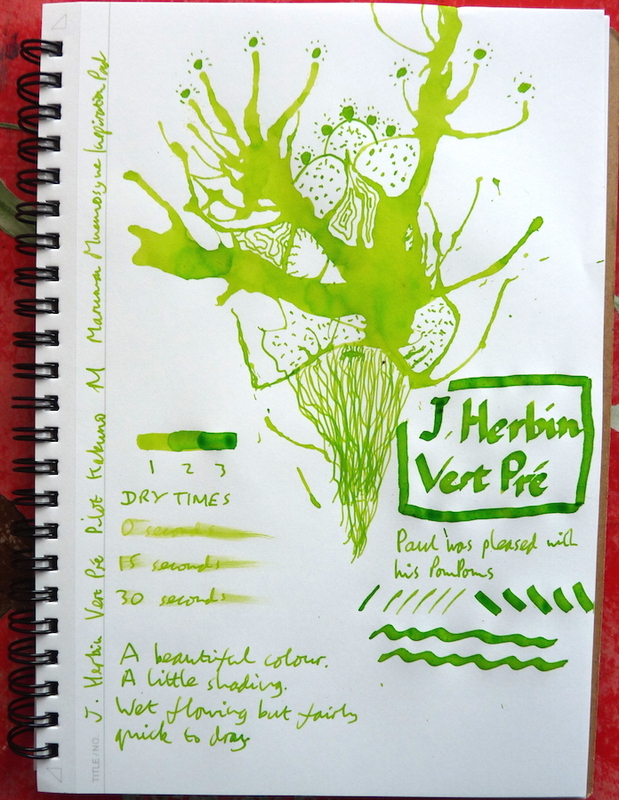 J. Herbin Vert Pre Ink Review – Pens! Paper! Pencils! 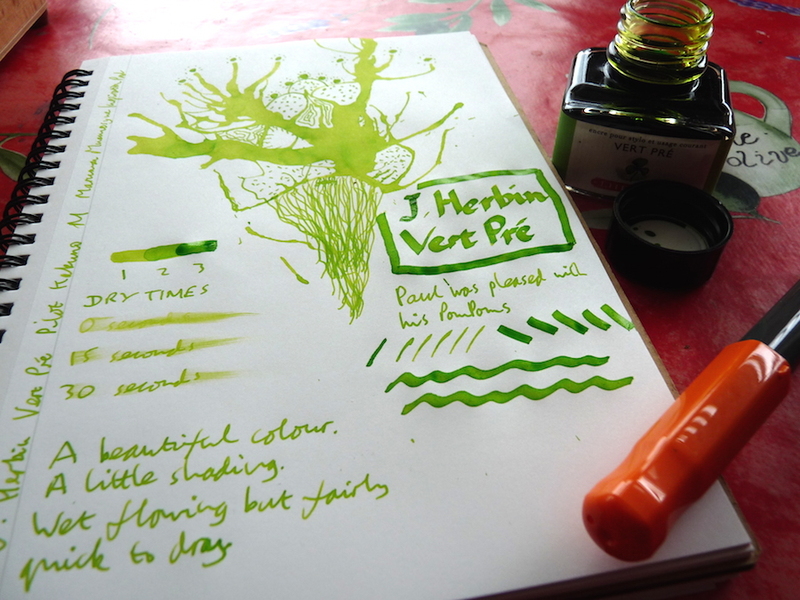 J. Herbin Vert Pre (grass green) is an incredibly joyful and pretty ink. It’s quick to dry and, unusually for J. Herbin, very wet flowing. It’s got some lovely shading going on, too. This is a beautiful ink. Just like the month of may! This really is a beautiful ink. Thanks for sharing! I do think that J Herbin has several very wet inks though. Nice review! Which other Herbin inks have you found to flow well? Well, most of them flow well but the really watery ones that I didn’t like are Diabolo Menthe and Bleu Azur. They’re waaay too watery and soak into the paper so you need to write on high quality stuff if you want to prevent that.